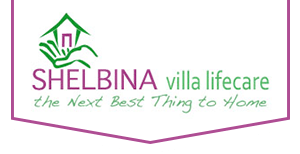 The Villa has many styles of rooms available to meet everyone’s needs. 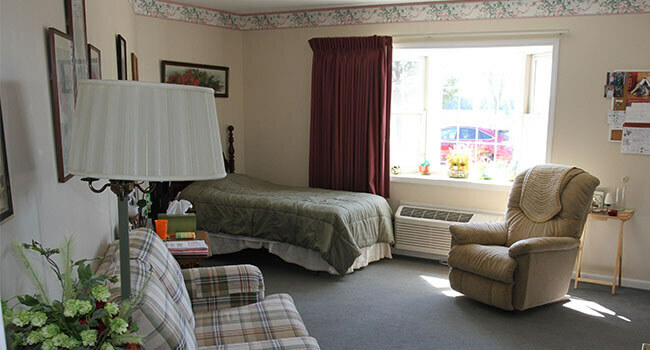 In our facility we have Suites, Private Rooms, and two room Apartments. The rooms are spacious and some have private patios and others have bay windows. 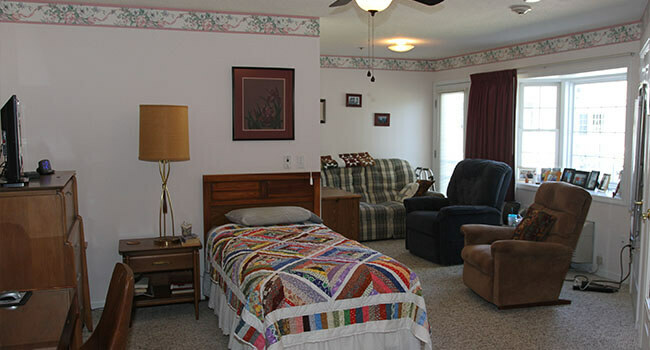 We will provide furniture for the resident, but we also encourage the resident to bring their own furniture and pictures. Residents are allowed to have refrigerators, microwaves and coffee pots in their rooms. 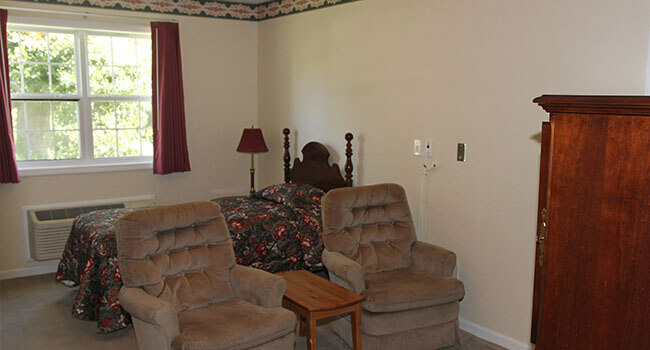 Cable TV is an available amenity in each room along with phone jacks through Century Tel. Wireless Internet is also available.